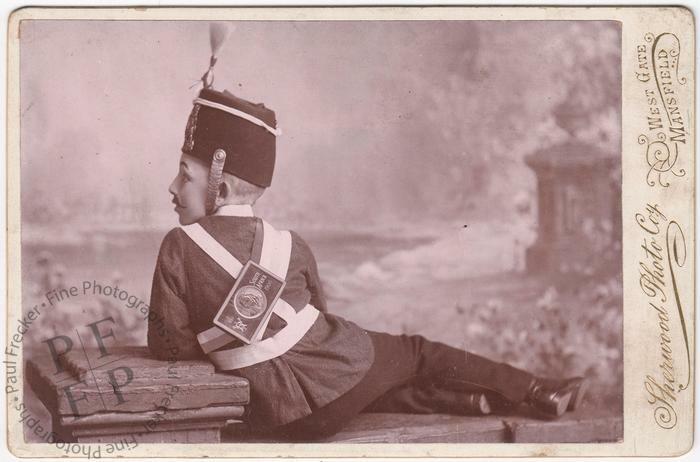 A signed cabinet card portrait of artist and illustrator Charles Linder Pott (1865-1909), seen here wearing the uniform of the Artists’ Rifles. 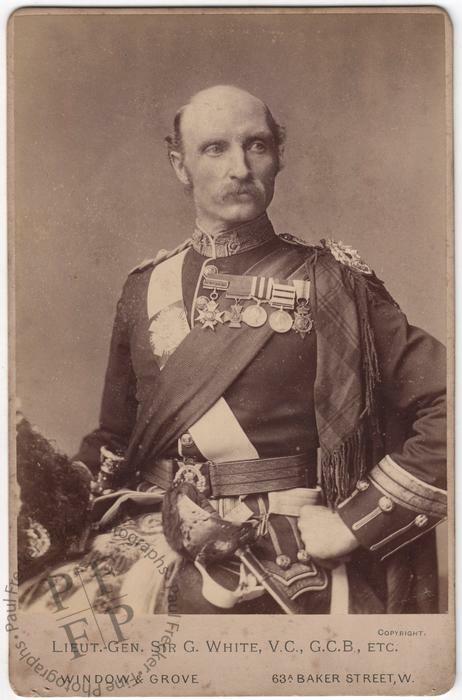 The regimental badge can clearly be seen on his collar. Designed by William Wyon, the Queen’s medallist, it consisted of two heads: Mars, God of War, and Minerva, Goddess of Wisdom, the latter chosen to represent the fine arts. 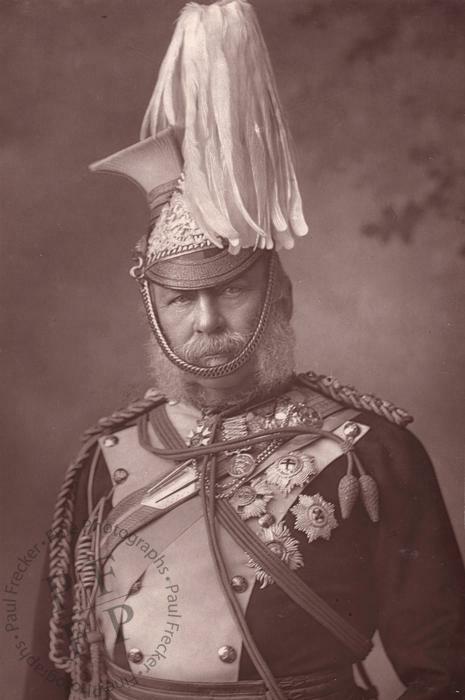 Until 1914 the regimental full dress uniform was light grey with white facings, silver buttons and braid. 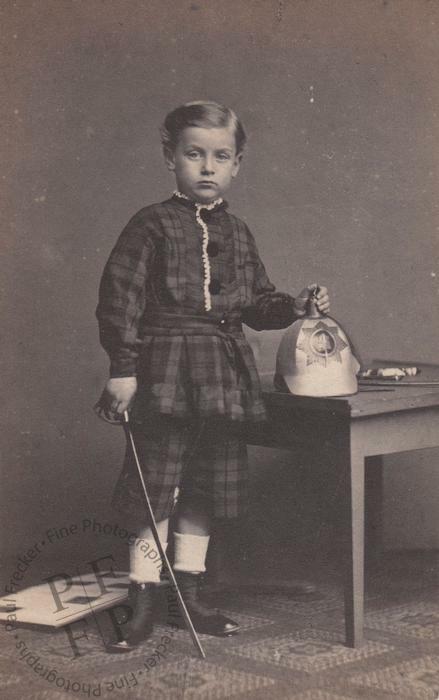 Born on 9 January 1865, Charles Linder Pott was the eldest son of artist Laslett John Pott, who exhibited a total of 43 paintings at the Royal Academy between 1860 and 1897. 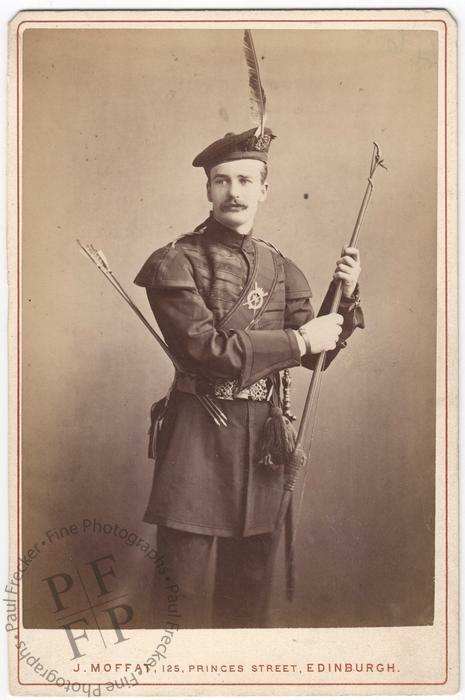 In 1889 he joined the 20th Middlesex (Artists’) Volunteers. By 1906 he had risen to the rank of ‘Capt. and Hon. Major’ (Volunteer Service Gazette and Military Dispatch, 22 June 1906). 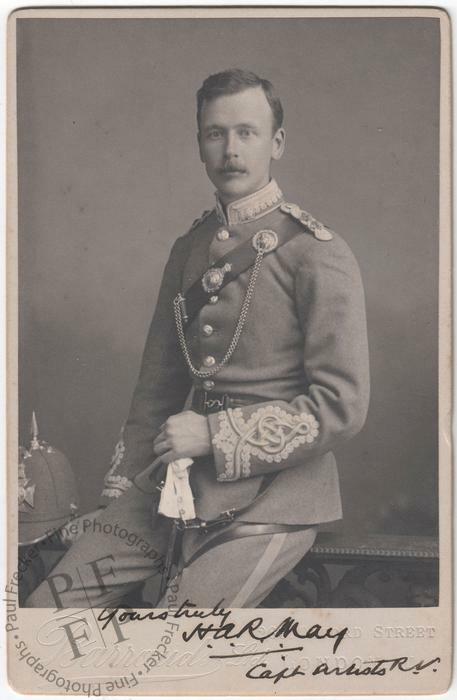 On 2 August 1893 he married Mary Rose Lane, elder daughter of Frederick Quincey Lane of Berkhampsted. The couple appear on the 1901 census, living at Pinner in Middlesex with two of Charles’s siblings. 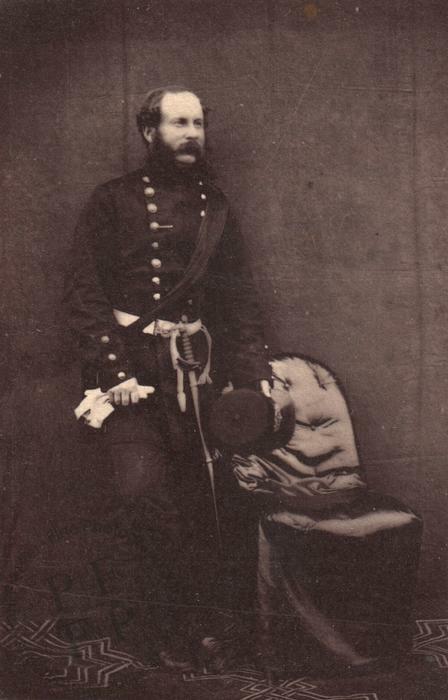 Charles Linder Pott died, aged only 44, on 23 October 1909 at Hatch End in Middlesex, leaving an estate valued at £1038. He was buried in Paines Lane Cemetery in Pinner. Photographed by Lawrence Lowe of St John’s Wood, London. The portrait has been signed ‘Charles L. Pott / Lieut.’ by the sitter in ink recto in the lower margin. 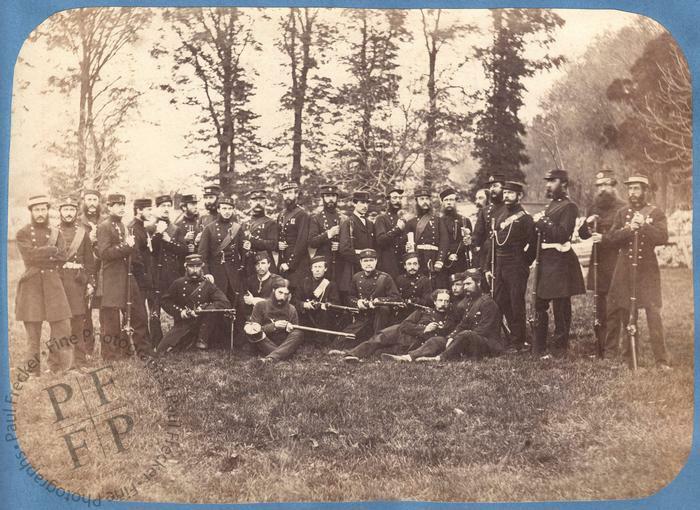 Condition: the print presents some small marks and imperfections in the area of the background but has very good tonal range. The mount is firm, solid and very clean. 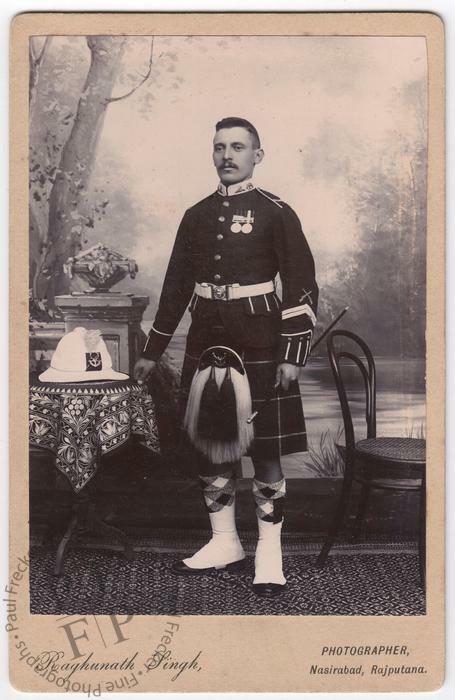 A cabinet card portrait of an unidentified soldier of the Seaforth Highlanders, photographed in India by an Indian photographer, possibly at the time of the Chitral Expedition of 1895. Photographed by Rhagunath Singh of Nasirabad in India, identified recto in the lower margin. The reverse presents a backplate of generic design, depicting a cupid scattering photographic portraits. 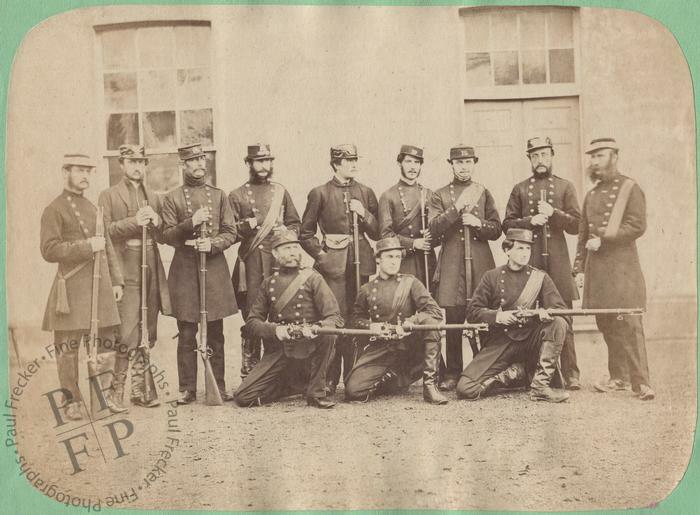 Condition: the print presents a few small imperfections, all of them peripheral, but is otherwise in excellent condition, with very good tonal range. The mount presents a couple of small blemishes verso but is otherwise also in excellent condition. 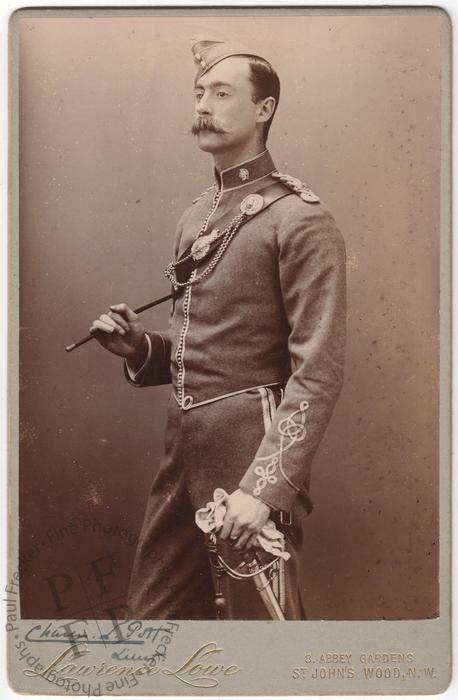 A Woodburytype portrait of Queen Victoria's third son, Prince Arthur, who was created Duke of Connaught in 1874. 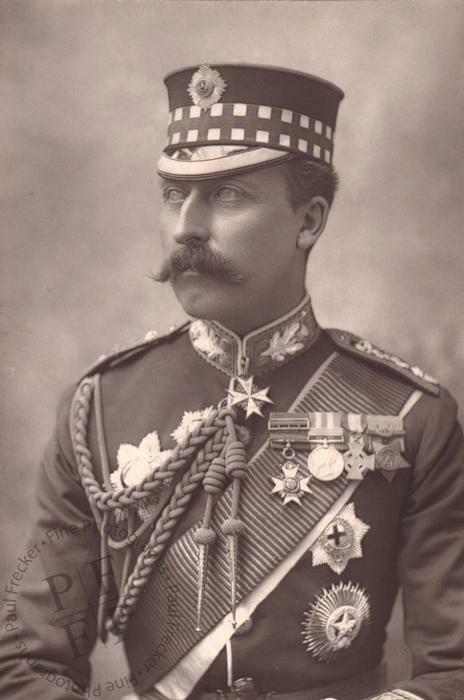 He had a long career in the British Army that included service in South Africa, Canada, Ireland, Egypt in 1882 and in India from 1886 to 1890. 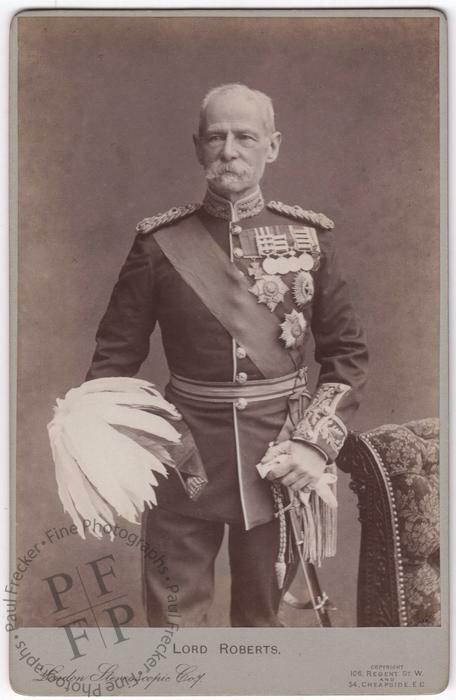 On 1 April 1893, he was promoted to the rank of general. 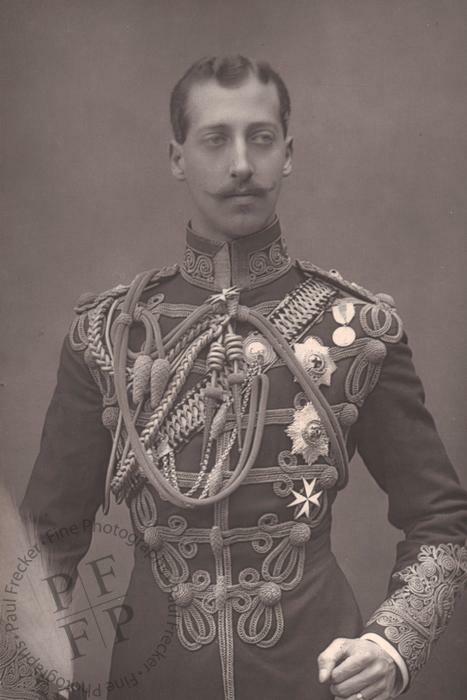 In 1895, when his mother's cousin, the elderly Duke of Cambridge, was forced to retire from his position as commander-in-chief of the Army, Arthur was disappointed when his hopes to replace him were not realized. 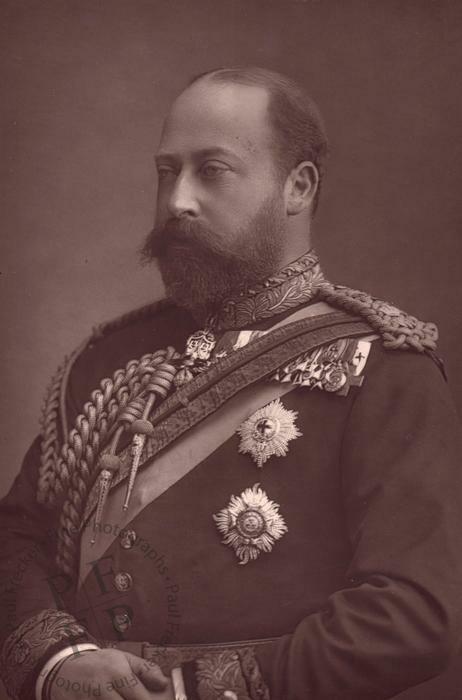 From 1911 to 1916 he was Governor General of Canada. 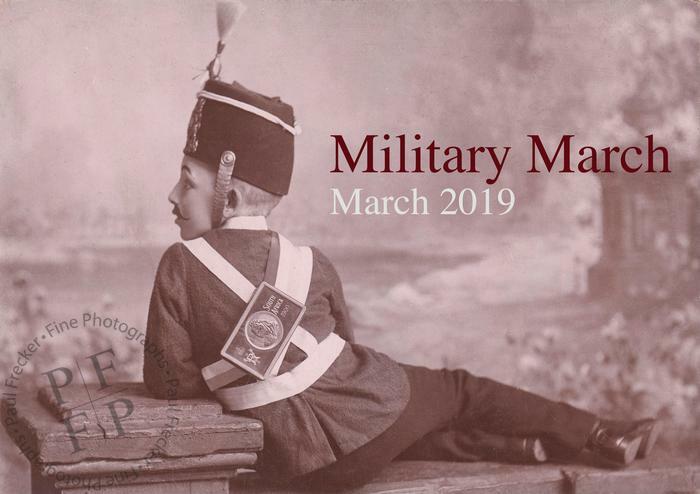 Dimensions: the print measures 5.5” by 3.7” (14 cm by 93 cm) and is mounted with a buff-coloured border on an off-white page measuring 10” by 8” (25.3 cm by 20.3 cm). 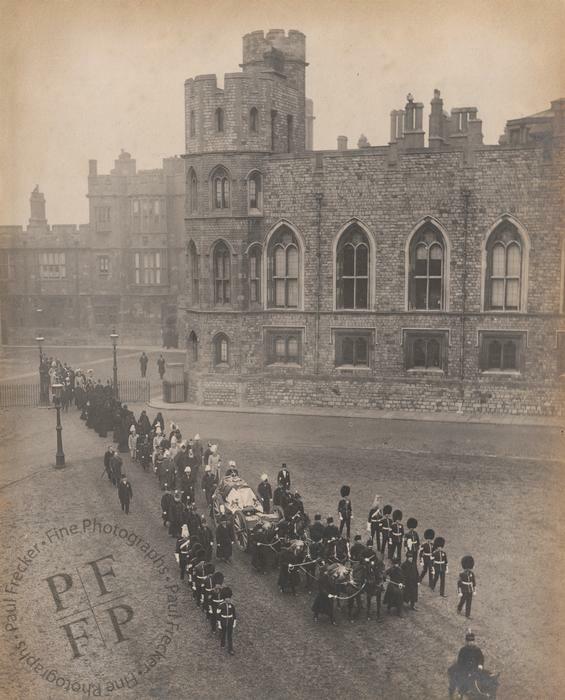 A large silver print showing Queen Victoria’s funeral procession crossing the Quadrangle at Windsor Castle, followed by various European kings and queens and other members of her family. 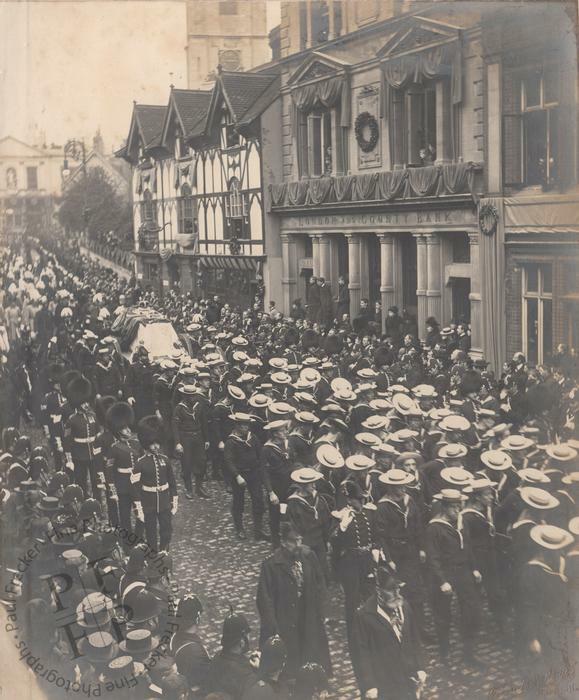 The new king, Edward VII, can be clearly seen walking immediately behind the gun carriage carrying his late mother. To his right is the German kaiser, Wilhelm II, and to his left is his brother, Prince Arthur, the Duke of Connaught. 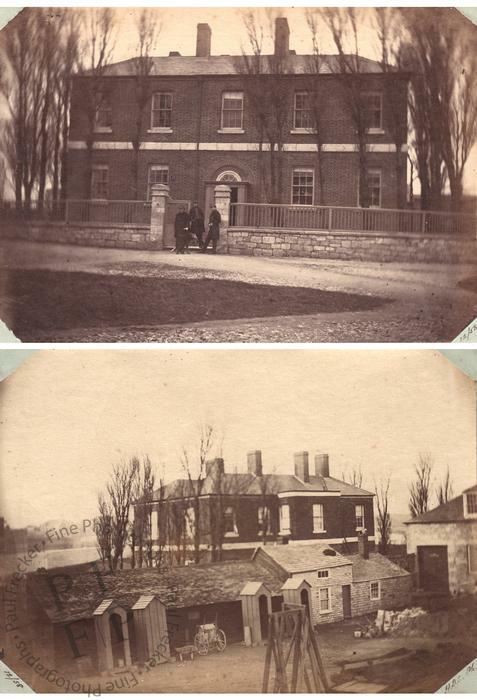 Photographed by Russell and Sons of Windsor, according to a blindstamp recto in the lower right-hand corners. Condition: the print presents a small amount of silver mirroring at two of its edges but is otherwise in excellent condition, with very good tonal range. 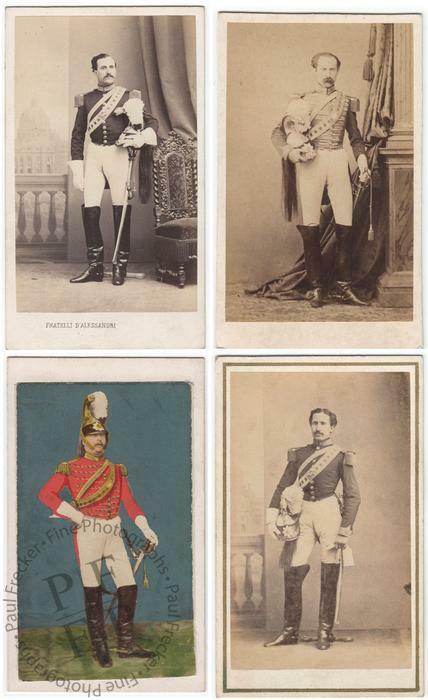 The album page on which it is mounted presents a small amount of foxing but is otherwise clean, firm and solid. Dimensions: the print measures 10.9” by 8.5” (27.9 cm by 21.5 cm); the album page on which it is mounted is slightly larger.